Matthew David will be performing the Olympic single “Today” at the outdoor Richmond Ozone (Official Olympic entertainment venue) on Feb 13 at 3:15pm with the music video playing on the big screens. He will also be performing at a private Cocktail Reception for 350-400 International Dignitaries at Richmond City Hall on Feb 14, 2010. Canada’s newest sensation Matthew David is a rising star on the Vancouver scene- a town known for it’s Artistic freedom and innovative performers. His song “Today” catapults him into the international spotlight. From Investment Banking to the World Stage, Matthew David is representing his hometown at the 2010 Games. Once full of dreams and living life in an investment banking career, Matthew David chose to give it all up to give his dream of becoming a singer the chance of a lifetime. And now it’s paying off. With the release of his new single, “Today”, Matthew has skyrocketed his career to the fast track, representing his city — Vancouver — on the world stage for the 2010 Winter Games. “‘Today’ is the perfect theme song for the Olympics, and it also represents me well as an artist.” Watch “Today” Olympic Music Video. 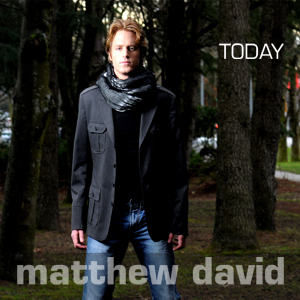 iTunes: Matthew David – “Today”. In closing, look for Matthew David in live performances throughout Vancouver during the Olympics. The City of Richmond with over 500 staff volunteers, and a volunteer crew of 25, produced the high definition “Dream IT” music video that can be seen here. In closing look for Matthew David in live performances throughout Vancouver during the Olympics. Matthew David’s smooth rock vocals on his debut single “Masquerade” have created a stir in the music scene from the West Coast to New York and received radio airplay almost immediately. Strong, inspiring lyrics and an impressive contemporary rock arrangement were merged with Matthewâ€™s engaging vocal style to create a first release that is fueling the anticipation of his first full-length album. 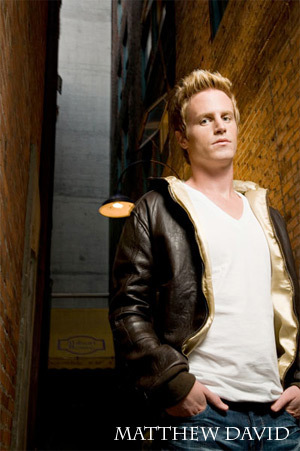 The Vancouver based singer-songwriter got his start like many of today's chart-topping artists - by singing in church. Since he was 4, Matthew has been exploring and learning the art of performance. At 18 he packed his bags and moved to England where he studied voice and theatre in London's West End. Since returning to Vancouver, he has been focusing on maturing his sound and crafting his lyrical content. In November 2009, Matthew released his debut EP album “Masquerade’. Find it on iTunes and other major online distributors! To book Matthew David, please contact Lisa Darden at lisa@huptalentandbooking.com or call 240-446-1554.